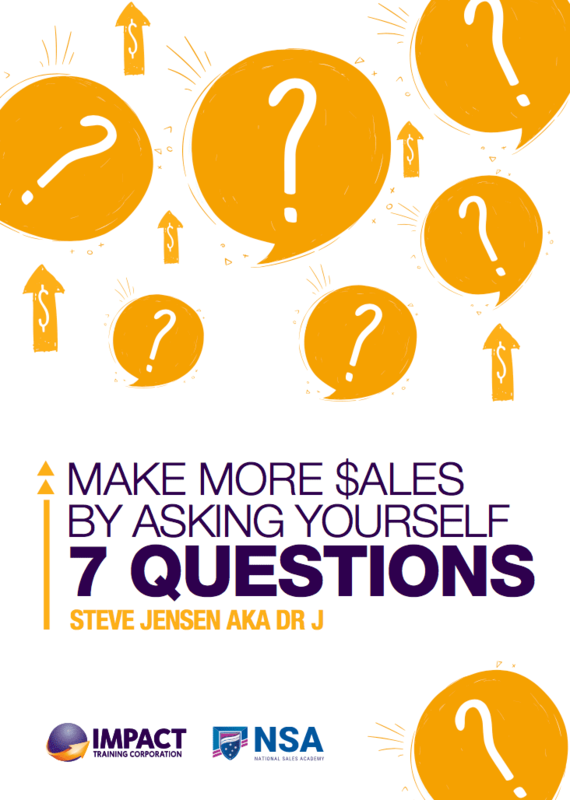 Make more sales by asking yourself 7 SIMPLE Questions! Finally a complete guide to help you increase your sales, ask yourself these 7 questions to plan how to maximise every sales opportunity and smash your targets. This is easily the most comprehensive guide available on how to make more sales, that doesn’t rely on outdated ways of dropping prices and pushy sales techniques. When it comes down to sales, it’s not just about making the sale, but how you acquire the lead, what numbers you’re going to measure and more importantly, what sort of process you’re going to follow when the leads come in. How to create and rehearse your closing strategy, price presentation and sequencing. Your closing strategy is part of your inspirational sales process, and refers specifically to how you present the opportunity to buy your product/service, and how you present your pricing. The #1 best use of your time, when wanting to reduce your frustration and increase sales; Set and share your targets and KPIs for the month ahead. (A strategy that you can implement in 60 minutes or less each month), which has never resulted in failure – ever! Note: This is so easy everyone can do it and it will motivate you and your team to be the best they can be and crush your sales targets. How to plan and deliver a marketing launch. This simple strategy is an important mini event that is planned in advance. Learn how you create a marketing launch that is specifically designed to generate leads and putting the business’ name into the market with a compelling call to action.